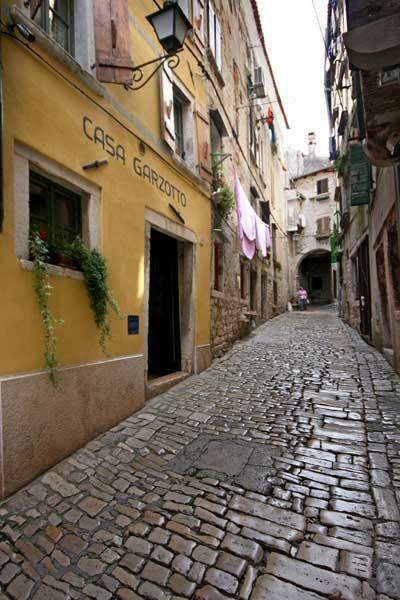 Casa Garzotto offers 4 comfortable and luxurious studio apartments of approximately thirty-five sq. meters, each decorated in their own individual style. Two apartments have open fireplaces that, during the wintertime, create a most cozy atmosphere. Furniture and wall decorations were hand-picked to date the period of rule of Italy and Austria. Every studio has a king size bed (with the possibility of requesting an extra bed if necessary). Within this same building, guests can enjoy a lounge bar, library and free Wi-Fi.